Thistle Golf Club is a formerly private, 27-hole golf complex in Sunset Beach, NC. Built based on the 200 year history of original Leith Thistle Club in Edinburgh, Scotland, this Myrtle Beach golf course is ranked #26 out of 60 according to Golf Digests list of Top 60 Courses in Myrtle Beach. 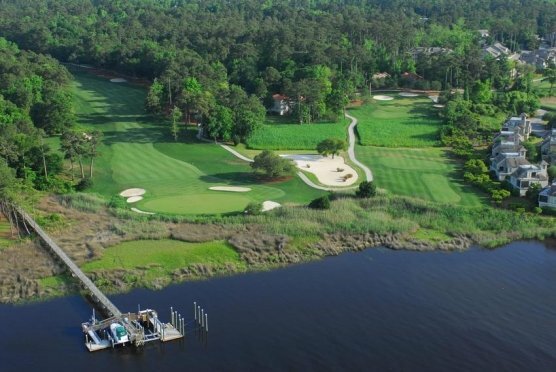 The Thistle Golf Club has a mantra of Excellence, Pride and Tradition and that is what you will get when you add this course to your Myrtle Beach Golf Package. The Excellence is reflected in the 4.5 star rating from Golf Digest for course design, condition and service. Pride embodies their staff and Tradition is for the history and heritage that was established in Scotland. When Thistle is part of your Myrtle Beach Golf Package, you also get use of their practice facilities and be sure to stop by the pub after your round of golf for a pint, glass of wine or a delicious meal. It’s a perfect place to gather with your playing partners and share stories of your round. 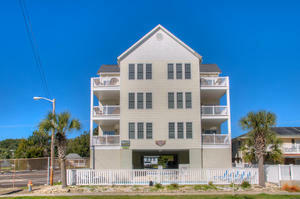 Since this Myrtle Beach golf course is located just over the state line in NC, be sure to visit some of the area attractions and dining options in Sunset Beach and Ocean Isle Beach. Thistle Golf Club is offered as an option with the Elite Package, Surf and Turf Package and of course, you can also add this course to a Myrtle Beach golf package that you create with help from one of our Myrtle Beach golf gurus at Myrtle Beach Golf Authority.